The Interactive Marketing Association (IMA) held their national conference last week and I had the opportunity to travel to beautiful San Francisco. You are probably saying “duh” seeing as I am the Vice President for the Triangle Interactive Marketing Association (TIMA) but for what it’s worth I felt very proud to represent the Triangle area. Now don’t get me wrong the Triangle has many local rock stars but I was pleasantly surprised by the sheer amount of knowledge all the IMA leaders possessed. The conference provided room for us to swap war stories, ideas and trends from each region. Sponsorship dollars are harder to find. You may think that this is a direct result of a slow economy and at the macro level, yes, that is probably true. But at the micro level, traditional associations like the AMA (American Marketing Association) and others have only really been concentrating on digital, interactive, and other channels for the last couple of years. These larger organization’s focus in earlier years have been different than us (which points to the viability of interactive marketing.) Now with that being said, it means these organizations are now going after dollars that would have otherwise been previously reserved for interactive groups and associations. ROI and measurement are top of mind and required. If you are in the industry, you know it. There is more demand for marketers to be quantitative and prove the function’s value to the bottom line. Interactive – (digital, mobile, social, and the like) is the most trackable media in history, making it easier for marketers to showcase their value and accomplishments. Certificate and Certification are on the rise in the space. We heard from the VP of Training and Development at the IAB, Michael Theodore . He discussed the organization’s focus on creating programs and standards that, in his words, “ensure that partners, employees and new hires have the basic knowledge to perform their respective jobs.” This is exciting because it offers accomplished professionals and newbies the ability to learn and most of all for peers to recognize this as a legitimate profession. The percentage of B2B marketers using social platforms is enormous not to mention the increase of funds companies are budgeting for is very exciting. Marketingprofs has a great in-depth article highlighting the trends for B2B Content in 2014. 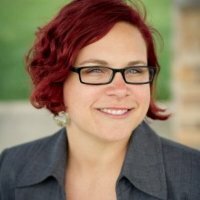 Kate Maddox from btobonline.com wrote a very insightful article back in August about the top marketing spending areas of 2014. In her article SAP‘s CMO, Jonathan Beecher, noted that the top areas where there will be an increase in marketing spending are marketing automation, content marketing, social media and mobile. Beecher also noted “A lot of our emphasis in 2014 will be on partner enablement—how do we increase the number of people telling our stories, from business partners to systems integrators to OEMs.” Beecher never did tell the real dollar amount of the spending increase, but he did mention that it would be on a global scale. So here is my question with interactive becoming the mainstream platform for so many marketers should we drop the “interactive” and just call it marketing? Thoughts?